One of my favourite things about this gorgeous weather is getting out in the garden. We have a bee friendly section to the garden which, I’m pleased to say, attracts a really good number of bees. I have two small children who have always been terrified of bees. Watching them hard at work collecting pollen from the beautifully-scented flowers in the garden has become a bit of a hobby for us. We count how many bees we can see. Once, there were about 15 bees all working hard on different plants. It isn’t just bees that love our garden. Butterflies are also showing a big interest in all the gorgeous smells and colours this wonderful summer weather has provided. 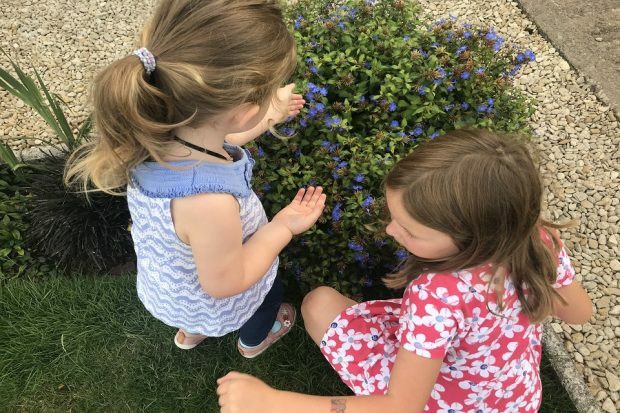 Again, my children have taken great pleasure in watching the butterflies fluttering gracefully from one plant, to the next. We have a chart of the different butterflies out there. We’ve spotted the Green Veined White, Small White, Red Admiral, Peacock and many others. I looked online and found a link to a fabulous page. The big butterfly count has been set up by Butterfly Conservation. They want you to download their app and take 15 minutes to sit in the sun and count the number of butterflies you see. I have the app, I have the perfect butterfly haven, and I have my helpful spotters. Having children is a real joy. You get to experience the world through their eyes. And going through the story of how a butterfly came to be, has seen me reading The Very Hungry Caterpillar quite a few times. This wonderful book by Eric Carle tells the tale of a caterpillar that works its way through a phenomenal amount of food, before cwtching up in its cocoon and emerging as a truly beautiful and extremely colourful caterpillar. The girls looking for butterflies and bees. Transformation happens all around us. Night turns to day, seasons change, and tides turn. Just like the butterfly, many animals change and adapt to their surroundings. My mind was blown when I saw a video of a cuttlefish disguising itself as a hermit crab. We too are transforming. I’ve been working at Companies House for over 20 years. In that time, I’ve seen us evolve and transform in many ways. I’ve worked for 5 different CEOs, each bringing their own idea about the direction of change for us as an organisation. I’ve watched us change from a place that deals with a lot of paper, to a place with a lot less paper and a lot more digital processes when working with customers. I’ve seen us move onto email. I’ve seen cumbersome computers replaced by laptops. Teams sitting in their own rooms are gone. Open-plan working with lots of collaboration is in. And, it’s showing no sign of stopping. The transformation train is chugging forward and picking up pace. This isn’t a journey we want to take alone. We want you to be a part of this amazing transformation with us. You may have seen the blog from our CEO, Louise Smyth. Louise talks about transforming us on a wide scale, to make sure we have brilliant people, brilliant systems, brilliant services. 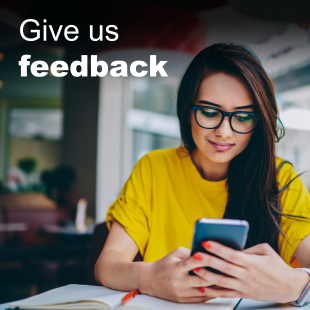 Because we do want your help, we recently ran a survey asking you to give us information about how well you know us, and the services we provide. We also have a team of user researchers who work with a user panel to test the usability of our developing services. You can help shape our online services too, by joining our user panel. This isn’t a flash in the pan. 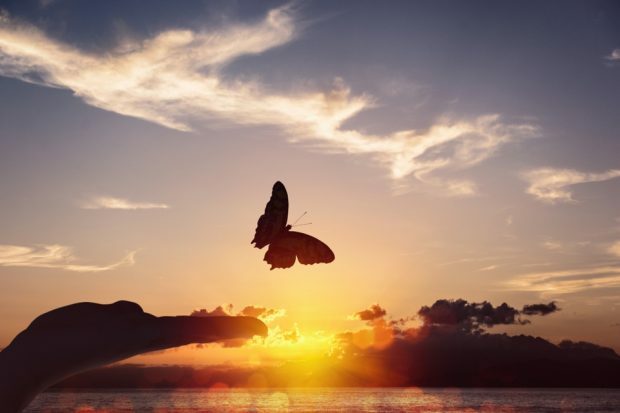 As we continue to transform from a caterpillar to a butterfly, we want you to be there with us. Keep connected with us by signing up to our email updates. Your opinion really does matter. Help this butterfly spread its wings. We would like to rely on the details of people in your directors and company records. We are pretty certain we can when charges are registered as we know the bank will have verified information. It would be good if we knew that false names were not being used in other cases. We know it is an offence if false names are used but it would be really useful if we knew that the people had been be verified in some way e.g. through NI records passport records, tax records, or signing in through the government gateway.